Sioma High School is located in Sioma, a town in Western Zambia. The school is the site of a demonstration project built for the Zambian government that demonstrates the diesel saving potential of solar microgrids. 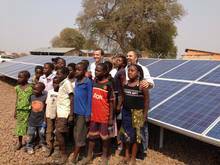 The project was developed and constructed by Standard Microgrid, Inc. and funded by the Empowered by Light foundation in partnership with sponsors Standard Microgrid, Inc., SMA America, Zanaco Bank, Suntech, Rolls Battery, and the Lighting Science Group. 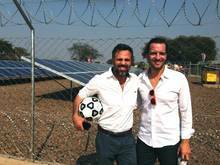 The system is made up of 106 panels of photovoltaics and backup battery storage. This is enough to supply 100 percent of the power needs on the Sioma campus, including seven classrooms, four dormitories, kitchen and dining halls and the police office. The total cost of the system was more than $200,000, which was funded by individual and corporate donations, as well as by significant in-kind donations from Suntech Power, SMA and Rolls. 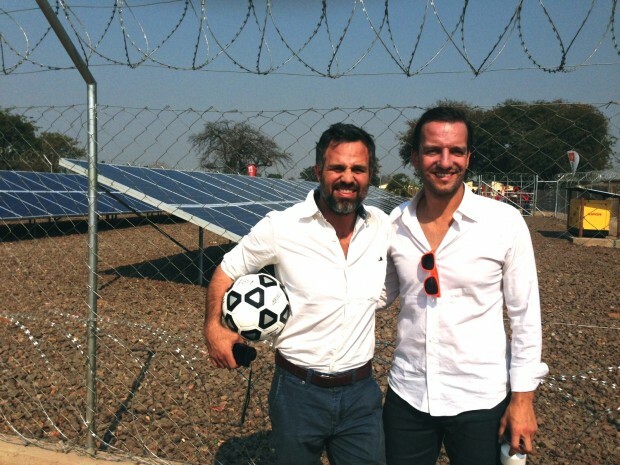 To celebrate the opening of the system, Oscar-nominated actor and activist Mark Ruffalo joined Empowered by Light personnel, business and tribal leaders, and Zambian government officials, such as the Minister of Education and the Permanent Secretary of the Western Province, to mark the occasion.